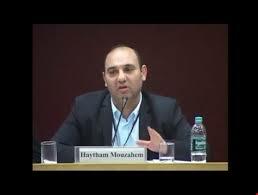 Dr. Haytham Mouzahem is a Lebanese analyst and researcher who specializes in Islamic and Middle East affairs. He has authored many books on Islam, Shiism, Iran, and Islamic and Jihadi groups. He currently heads the Beirut Centre for Middle East Studies. He spoke to International Affairs Review on the current situation in the Middle East. *How would you evaluate president Rouhani’s visit to Iraq? How are Iran Iraq relations currently poised? -Iraq has great political, strategic and security importance for Iran. The 8-years war that Saddam Hussein launched against Iran has made Iranians fear that any political or security shift in the neighboring country could pose a strategic threat to the Islamic Republic, such as the appointment of someone hostile to Iran to the premiership in Iraq or the control of the Islamic State of Iraq and Syria (ISIS) terrorist organization over parts of Iraq, or the US occupation of Iraq. Hence, Iran is keen to have good relations with the Iraqi government and all parties and sects, Shiites and Sunnis and Kurds, as well as the Shiite religious Marje’ya. Tehran considers those Shiite parties, some of which it helped establish, while some others it financed, to be the stronghold of its political and military influence in Iraq, especially the “Popular Mobilization” militia, which was formed in the summer of 2014 after the ISIS took control of a number of Iraqi provinces. The recent visit of Iranian President Hassan Rouhani to Iraq and his meetings with Iraqi officials from various parties and with the Supreme Religious Leader Ayatollah Ali al-Sistani came to emphasize the strengthening of bilateral political, religious, and economic relations between the two countries. A number of bilateral agreements have also been signed in the oil and trade sectors and the construction of a railway linking the city of Basra with one of the Iranian cities close to the border between the two countries. Some Arab experts and commentators view this visit in the context of Iranian efforts to contain US sanctions imposed after US President Donald Trump withdrew from a nuclear deal with Iran in 2018. [On the other hand] Tehran sees Iraq as an important market for exporting its products, including electricity, and getting foreign currencies, and that it can import through Iraq some products that the US sanctions prevent it from importing. *Iraq is also currently mending its relations with the Sunni Arab countries. So what kind of a balancing act will it seek to do? -Although the majority of the Iraqi people are Shia (between 60 and 65 per cent), Sunni Arabs and Kurds make up 34-40 per cent of the population. Therefore, the Iraqi government cannot ignore the Arab character of the country and the Arab-Sunni neighbourhood. Hence, the Iraqi government is trying to establish good relations with neighbouring countries, especially Saudi Arabia, Kuwait, Jordan, and the UAE, as well as with Syria, Egypt, and Turkey. The Iraqi government is keen on maintaining good relations with both Iran and the United States of America and to ensure that their conflict does not constitute a political and security crisis inside Iraq, especially when naming the prime minister and forming the government, or in the fight against ISIS. Thus, both Tehran and Washington are seeking to increase their influence in Iraq, and to come up with a prime minister or ministers loyal to them, but the two sides now accept that they have to share influence and reach a compromise on the government and other issues in Iraq. The Iraqi government is keen on maintaining good relations with both Iran and the United States of America and to ensure that their conflict does not constitute a political and security crisis inside Iraq. Recently US President Donald Trump announced that Israeli sovereignty over the Golan Heights should be recognised. What are the implications of this regionally? Once again all condemnation and no action? -President [Donald] Trump’s recognition of Israeli sovereignty over the occupied Syrian Golan is expected to be signed by Trump today. This move comes after Israeli and American pressure on Trump by the Zionist lobby in Washington and members of the Congress who are loyal to Israel. This move may not trigger any quick repercussions, but it is creating a tension in the region and [the basis for] a future war, especially as Syria will not be silent on the continuation of the Israeli occupation of the Golan. Syria is waiting to recover and regain control over the whole country, and restore Syrian sovereignty over the Golan, whether by diplomacy or popular resistance, or by a proxy war with support from Iran and the Hezbollah. *The United Kingdom recently designated Hezbollah as a terrorist group. What is the response within Lebanon? -Lebanon’s government, people, and institutions do not recognize the US and British classifications of Hezbollah as a “terrorist” organization. Hezbollah is involved in the government with three ministers and has a parliamentary bloc of 14 deputies. Together with its ally the “Amal movement” it represents the Shiite community, which constitutes one third of the Lebanese people. And with its Christian, Sunni, and Druze allies Hezbollah has the majority in both government and in the parliament. Consequently, the Lebanese state ignores these labeling and says to Britain and America that Lebanon is not a party to this. * Do you anticipate any armed confrontation between Hezbollah and Israel in the near future? * Iran will of course aspire to a large share of Syria’s reconstruction. Will it continue to deploy troops in Syria? How long? -Of course, Iran is looking to get a large share of the reconstruction of Syria. It has invested heavily in supporting the Syrian state with tens of billions of dollars over the past eight years. 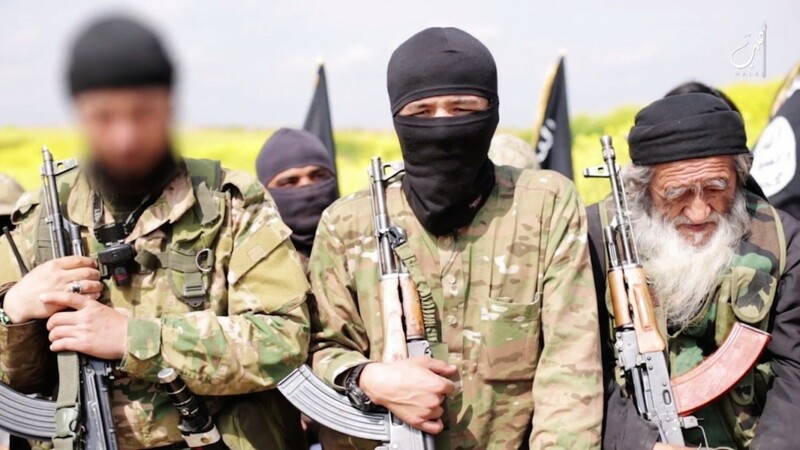 It has also provided military support with weapons, soldiers and experts, and hundreds of Iranian military deaths have been lost in the war against the Takfiri (Jihadi) groups. Iran will certainly continue its military presence in Syria, which it says came at the request of the Syrian government and will remain until Damascus asks them to leave. President Bashar Assad’s government still needs the support of Iranian forces and Hezbollah forces to maintain its security and confront the Takfiri groups in Idlib and its countryside and in the countryside of Hamma and Aleppo.